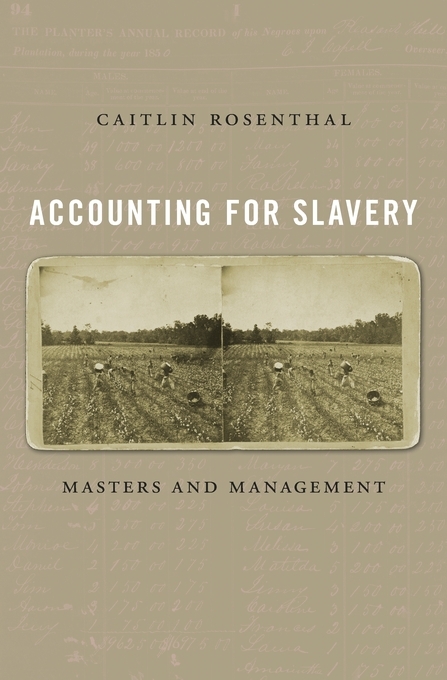 My first book, Accounting for Slavery: Masters and Management, will be published in August 2018 by Harvard University Press. The book seeks to integrate the history of slavery into the history of business practices. Plantation records offer a valuable opportunity to study the relationship between violence and innovation. You can read more about the project or buy the book at HUP's book page and Amazon. - Read an op-ed based on the book at TIME. - Listen to me discuss the book on Marketplace with Kimberly Adams, and read about "The disturbing parallels between modern accounting and the business of slavery"
- Read about the book at Harvard Magazine, "When Capital Trumps Labor"
- Read an excerpt at the Boston Review.